A dynamic element has been added, there are 3 interactive switches on the map that activate an energy shield in the middle of the map that acts as a dome. Halo 2 Anniversary is not only a remastering of the game but will also be treated like a directors cut, giving them the opportunity to put things in the game that they always wanted to but couldn’t for certain reasons. 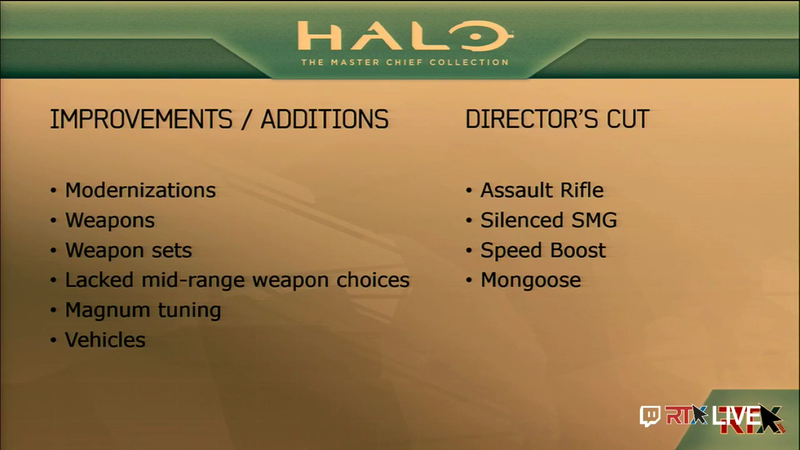 They’ve added the Assault Rifle, Silenced SMG, Speed Boost, and the Mongoose to Halo 2 Anniversary – also the magnums have received a damage buff for both single and dual wield. 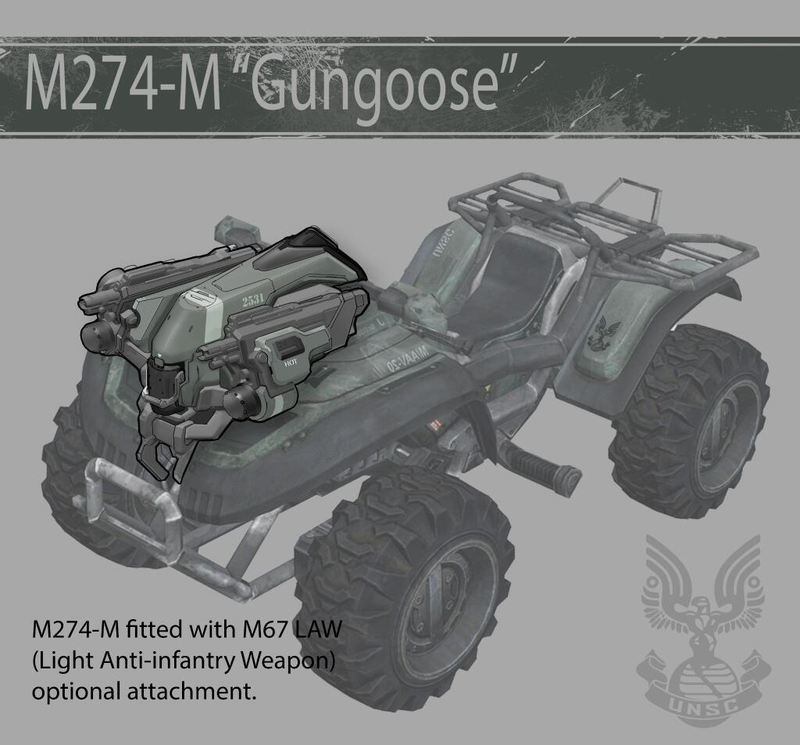 Yup that’s right, meet the Gungoose, a mongoose with guns (Yes it’s real!). Along with it comes the gametype Gungoose CTF. Also 343 mentioned additional vehicles will be announced at a later date. They unveiled a trailer for the upcoming terminals in Halo 2 Anniversary. These new terminals will cover the back story of the Arbiter. Blur Studio will be remastering all of the Halo 2 cinematics, as well as creating a prologue and epilogue to the game. 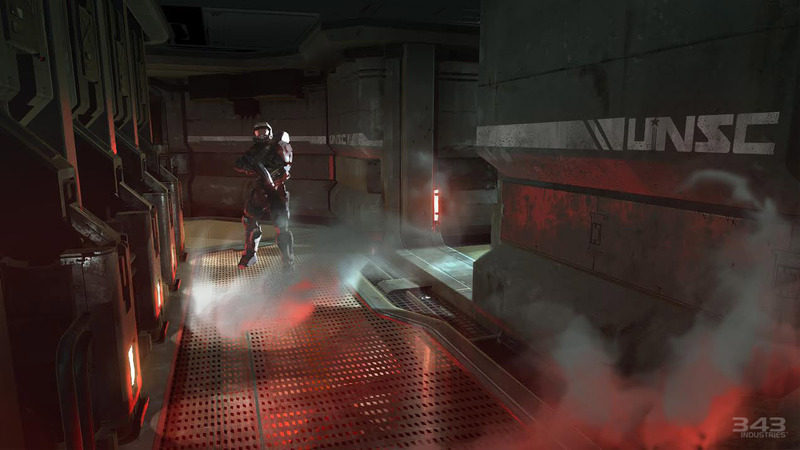 The remastered cinematics will be the same as the ones that were seen in Halo 2. They will not be from the perspective of Agent Locke. Like the gameplay you will still be able to watch the cinematics with their original graphics. All existing skulls will be making a return to the game along with some new skulls bringing the total to over 30 skulls for Halo 2 Anniversary. Universal controls. 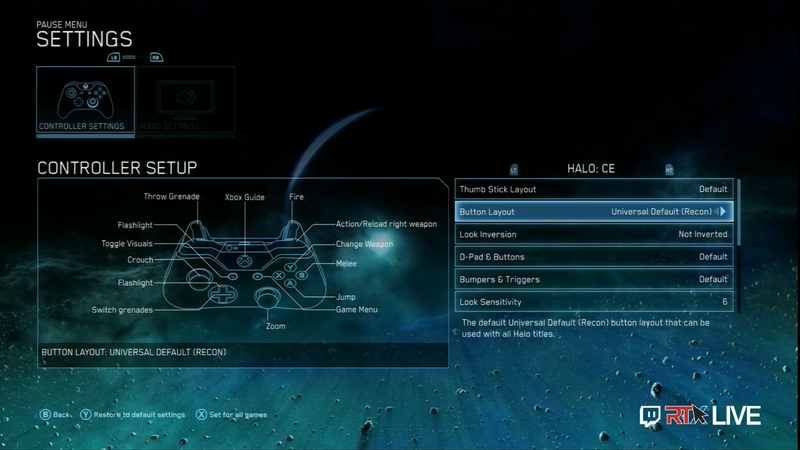 With a simple setting you can make all of the included games use the same control scheme. If you’d prefer you can also have each game use individual control schemes. 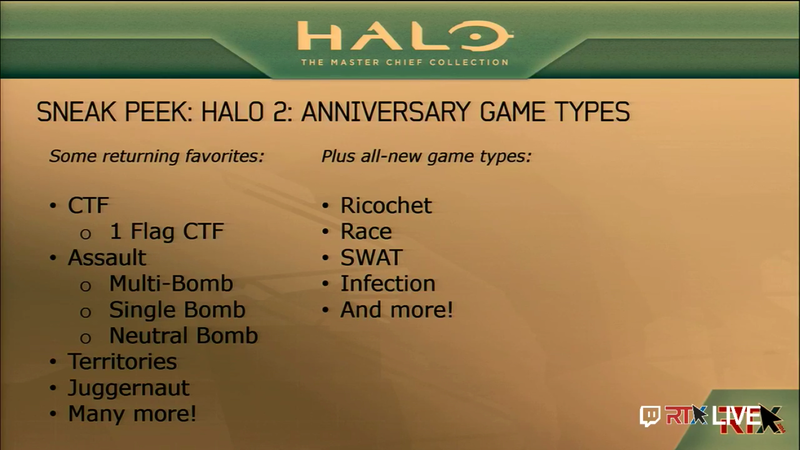 Halo 2 Anniversary will include old favourites as well as new gametypes. Below you can see the gametypes that have been revealed thus far. 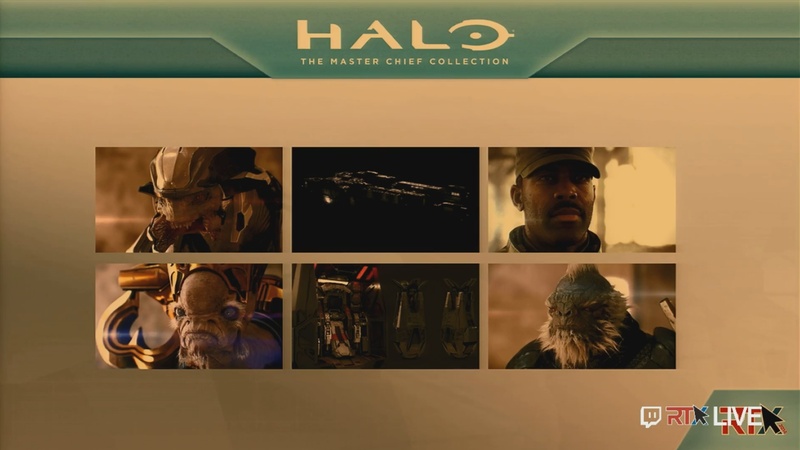 The menu screen will play music and display background images from the Halo game you’ve chosen to play. 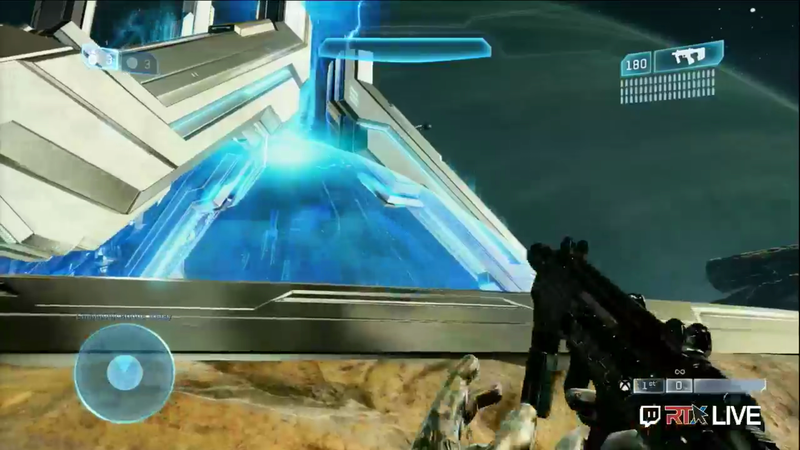 Button combos and glitches will appear/work in Halo 2′s classic multiplayer, but not in it’s remastered multiplayer. There will be no forge item crossover. 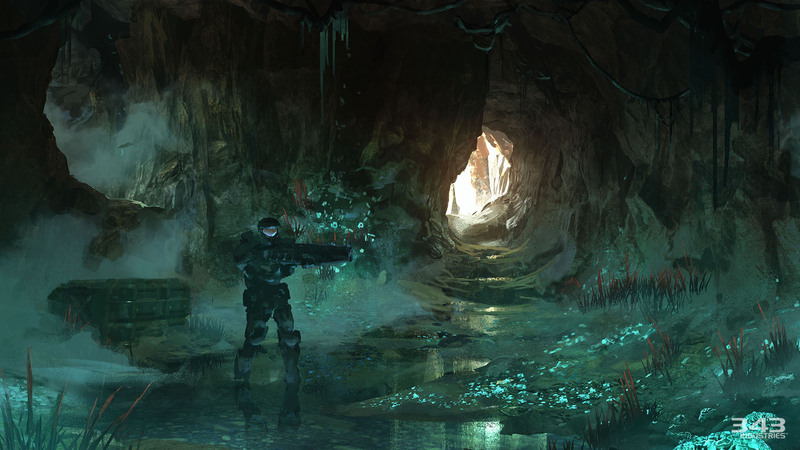 Halo 2 forge, Halo 3 forge, and Halo 4 forge are independent of each other. Theatre mode will only exist in the games that launched with it, Halo 3 and 4. Forge details may be revealed at either Comic Con or Games Com. Remastered Audio details will make an appearance at Comic Con. Gamescom will reveal details about Spartan appearance and customization. Here’s the entire 1 hour long panel in 1080p if you want to watch it for yourselves! This entry was posted in Halo 2 Anniversary, Halo: The Master Chief Collection and tagged Gungoose, Halo, Halo 2 Anniversary, Halo News, Halo: The Master Chief Collection, Halo: The Master Chief Collection Terminal Trailer, RTX, RTX 2014 by Chief Canuck. Bookmark the permalink.